In the front: a carob tree sapling – ready for being planted! 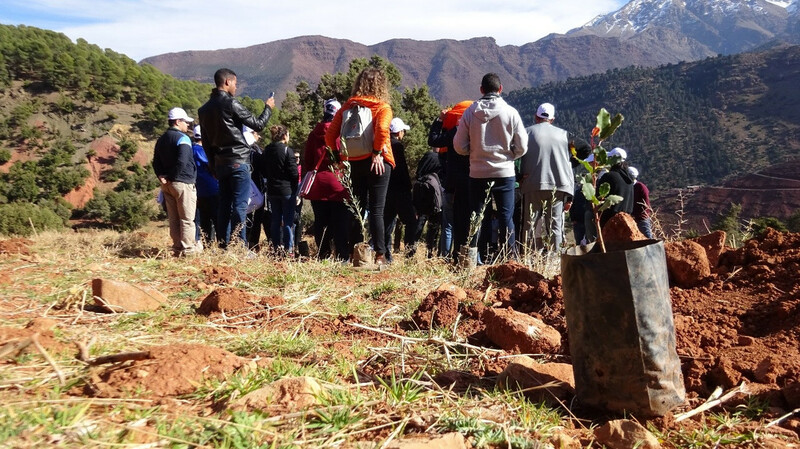 On Tuesday the 29th of January, the High Atlas Foundation (HAF) facilitated a tree planting activity for volunteers from OCP and the local association in Anamer, in the Ourika valley. The local associations name, Amjad Anamer means in English Glory for Anamer. That’s indeed a suitable name because the youth association already achieved a lot for their people. They installed rubbish bins, they are restoring their mosque using only their own resources and they repaired the road to school, so the children have a safe path. They have many plans to continue working for the community’s development. 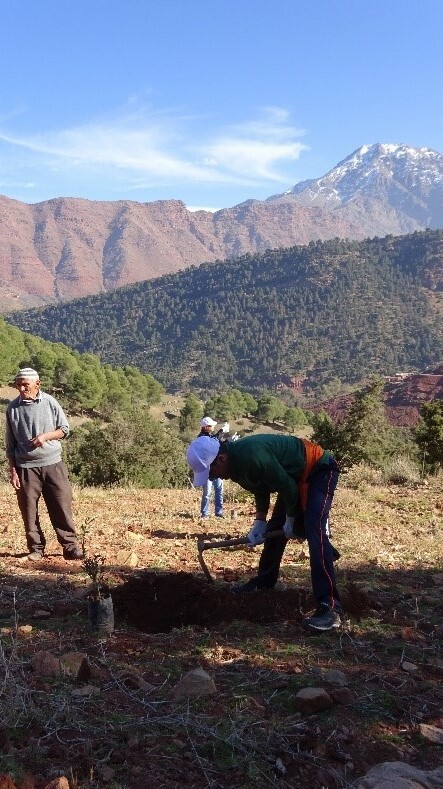 An elderly man from the village donated three hectares of his land to the local association so that the community can profit from the fruit trees which will be planted on this day and which were planted last year with HAF. Although the members of the association mainly are young men who work in restaurants because it allows them to get a better income, they would rather love to be able to work in agriculture. Their fathers and grandfathers used to be farmers in this region and that is why they said they feel “a sense of belonging to the land”. 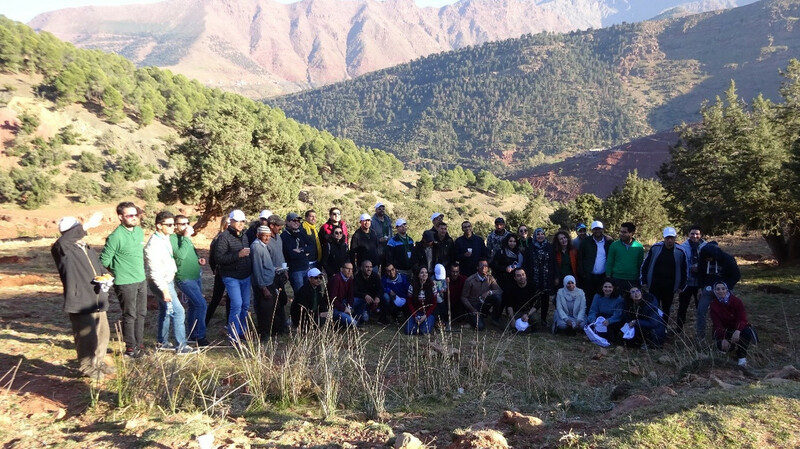 This week, the sales team and the production team from OCP met in Marrakech for doing teambuilding workshops. OCP is one of the leading exporters of phosphate rock, phosphoric acid and phosphate fertilizers in the world. 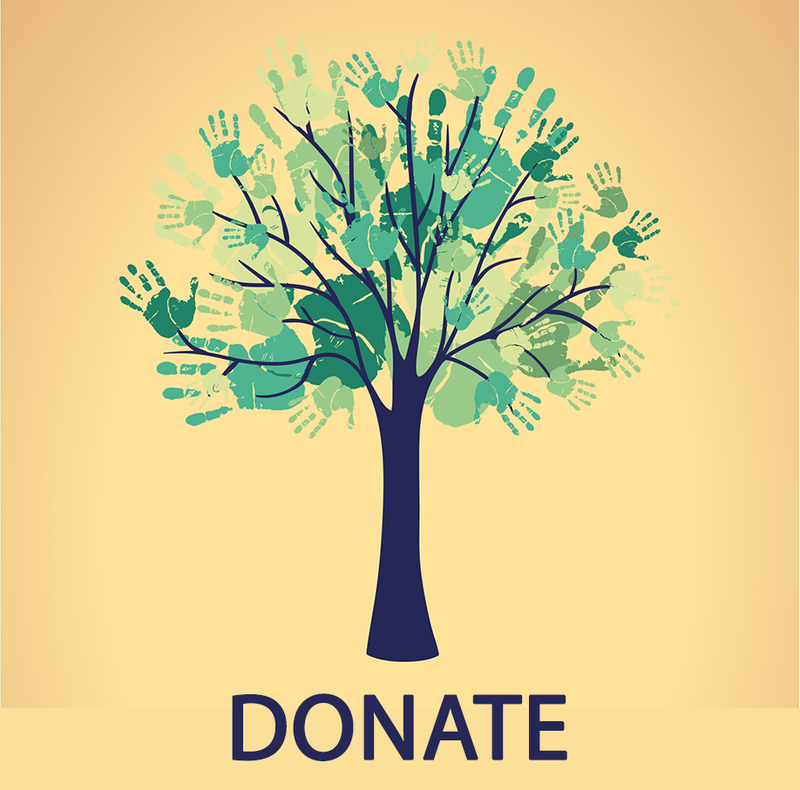 They launch a project called “Act4Community” where they encourage their employees to do voluntary work in the social sector. 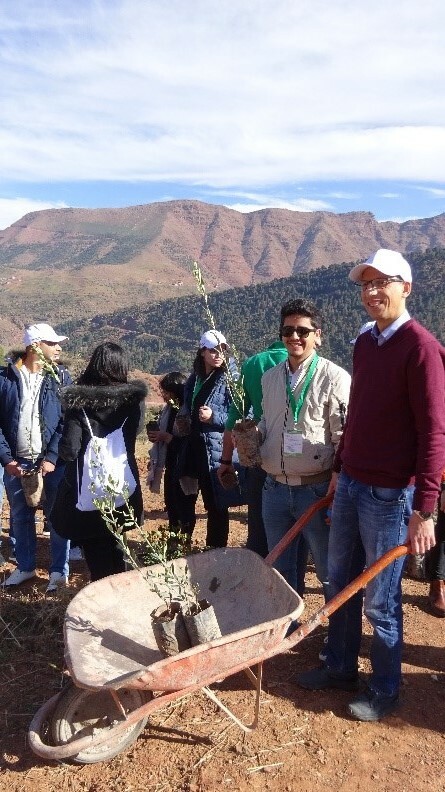 Part of the team building activities was to plant trees in the rural area of the Ourika valley. The OCP volunteers bought 1800 olive and carob trees to donate them to the community of Anamer and to plant them together on this day. 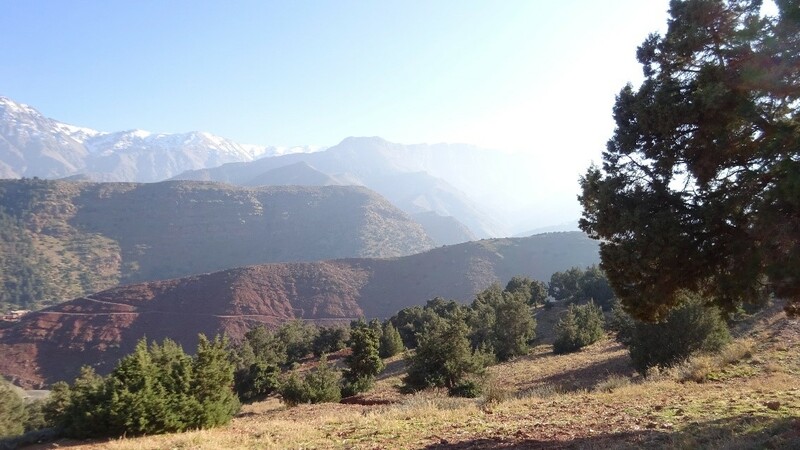 In the past, the High Atlas Foundation and OCP partnered several times in different community development projects mainly in Safi and Youssoufia which are small towns where OCP has their production factories. 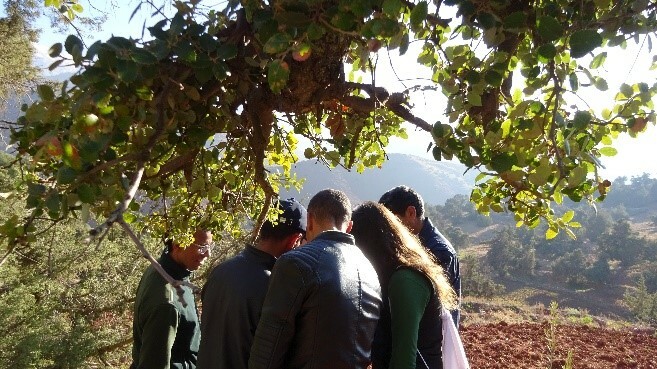 On Monday, Zineb from OCP and part of the HAF team went to Anamer to get to know what the needs of the local farmers are and to understand their challenges. We found out that their biggest challenge is a lack of water on the hillside. After the discussions, Zineb was glad to have found a project what she can further work on with the Act4Community project. She describes the next steps as the followings: first, monitoring is needed to find a good place for a well. Then, the well needs to be drilled, afterwards the well needs to be built. The next steps are to install a solar pump and a drip-drop irrigation system. Zineb and the Men from the local association hope that OCP, HAF and the local association will further work on this project together. When we arrived at the field on Tuesday, we found it surrounded by nature and a beautiful mountain view, everything was very quiet, the only noise was the birdsong. We went to the field and met the men from Amjad Anamer and planned the next steps. Soon the volunteers from OCP arrived. We gathered together, introduced HAFs work, the local association’s work and the work of OCP. 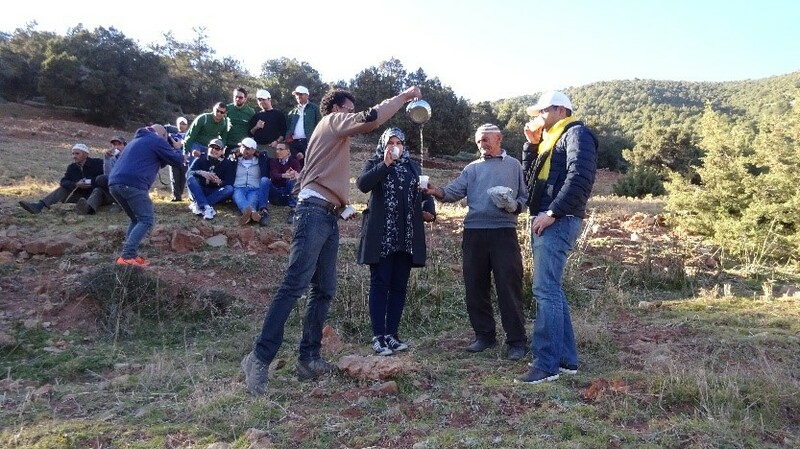 After planting the first olive tree together to see how it works, everybody split into groups and started digging holes and planting olive and carob trees around the land. During the tree planting, I wandered around eager to hear the OCP volunteer’s opinion about the day and the activity. They described the day as “a wonderful experience which the local people, as well as the environment, benefits from”. Some of them planted their first tree in their lives and really appreciated the experience. Being outside is more exciting than sitting in an office the whole day and it is “the cool part of the teambuilding workshop”, they said. OCP provided a lovely picknick and after a little rest, we went to the village to meet a group of women who HAF project managers Ibtissam and Fatima Zahra did an empowerment workshop with. 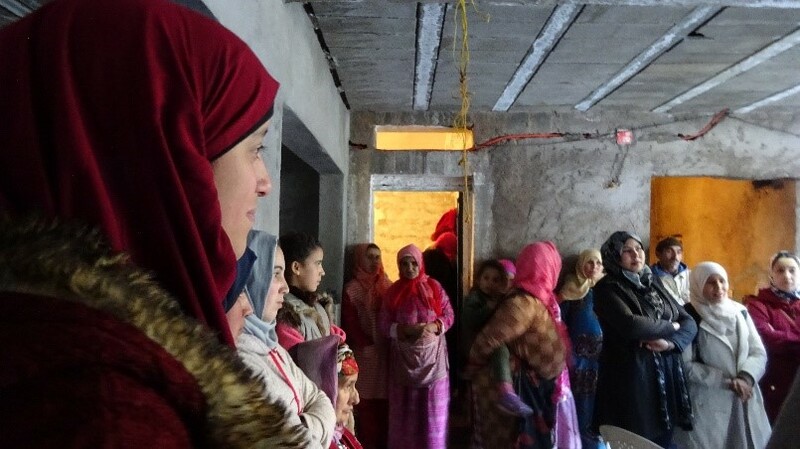 We explained to the OCP group how those empowerment workshops are like and the women expressed their needs. As they have a lot of free time, they would love to start a cooperative and work together. They are thinking of helping each other to fight illiteracy and to produce medicinal plants, backing products or to weave carpets. The OCP volunteers, the local association and HAF are excited to continue working together for supporting the development of the community of Anamer. Thank you to OCP and to Amjad Anamer for this great day!